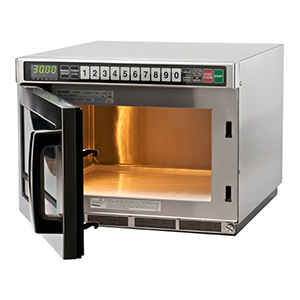 The R1900MCP is the perfect choice for contract caterers, pub chains and large restaurants, ideal where high output and extra capacity is required. This stylish stainless steel, touch control, 21 litre machine has been solidly engineered to withstand the heaviest of uses. The dual control feature for multi-sited operators offers the ideal solution for those requiring full menu consistency, whilst the impressive 100 pre-programmable memory settings ensures ease of use. 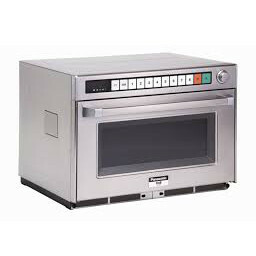 The R1900MCP can also be safely stacked which offers greater flexibility in a busy commercial kitchen. 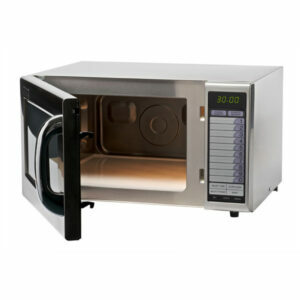 The unique Cavity protection protects the Microwave from spills. It allows the user to easily remove the cavity and wash it, leaving the inside of the oven completely clean. The chance of a costly repair is dramatically reduced.